“Cats are hard-wired to hunt prey — and despite the fact that we’ve been domesticating them over the past few thousand years, pet owners have not yet succeeded in eliminating the feline drive to catch and kill small creatures. And that’s led to an unfortunate unintended consequence in today’s world, where cats are killing birds and decimating their populations, to the dismay of both pet owners and bird enthusiasts. 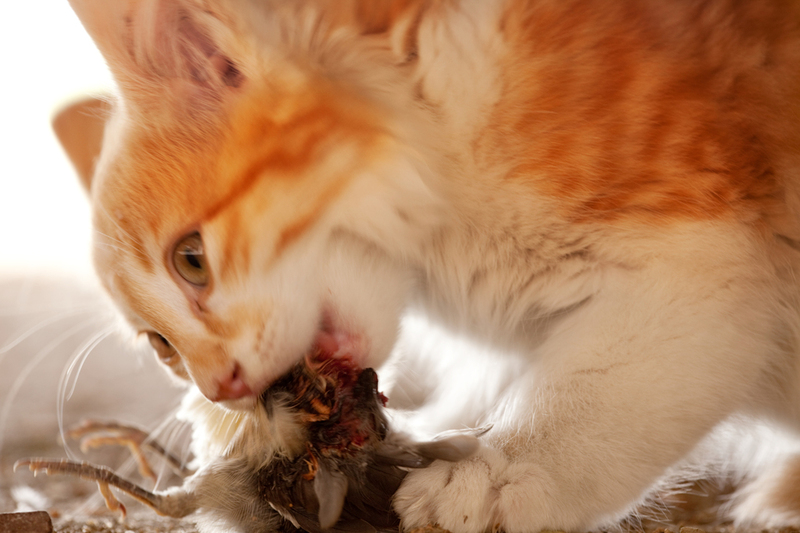 A recent study found that cats may kill as many as 3.7 billion birds each year, and billions more of mice, chipmunks, voles, and other rodents. Yet cats enjoy the outdoors, and sometimes it’s not simple or practical to keep a cat inside 24/7. So what’s a pet owner to do?